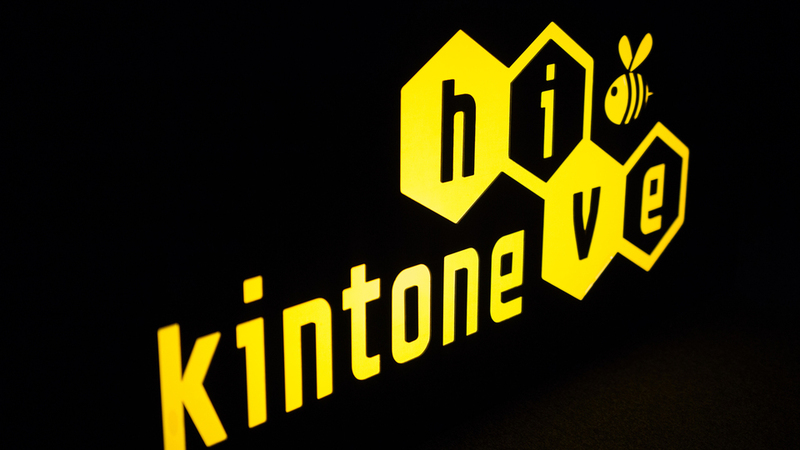 kintone hive tokyo vol. 5 was held on May 19th, 2017 at Roppongi Academy Hills. Please keep reading for summaries of each presentation. The first presenter was Ms.Hondo from Xebec Technologies, which sells manufacturing tools for deburring and polishing materials. Despite Ms. Hondo's inexperience with IT, when she encountered kintone she immediately realized that it had the potential to vastly improve the operational efficiency of the whole company. 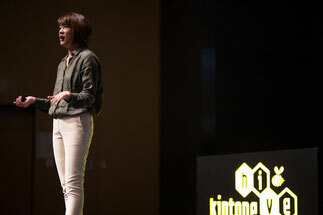 She went on to explain how she used kintone to bring about such widespread change. The company initially used a simple customer and lead management system for the sales department. However, “the web based system that we first constructed was very limited in searching and utilization. We selected an internationally well known tool, but there were limitations in the screen layout and data entry methods,” she explained. Eventually, the sales team grew so dissatisfied that there were many cases were personnel were actively avoiding inputting data into the system. So, in order to have flexibility, lower costs and be able to do maintenance without the support of engineers, they decided to transition to kintone. She reflected on their path to full utilization of kintone by referencing the Gartner Hype Cycle. During the trial period, where expectations were at their peak, they tried to find ways for many team members to have practice using kintone, such as demonstrating management applications. 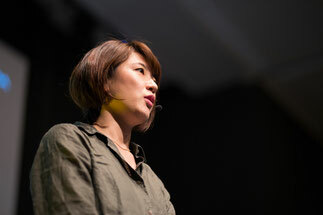 In order to minimize dissatisfaction during the 'period of disillusionment,' they started looking into customization capabilities, Ms.Hondo consulted developers about possible improvements. Looking back on the activities done to raise awareness as they approached the stability period, she noted that kintone became a tool for proactive business optimization. Now, the number of personnel capable of doing maintenance on kintone is increasing, and they hope that all employees will become deeply connected through they system as they continue development. The next presentation was by Mr. Watarai from Renoveru, which both renovates and sells old apartments. It was necessary for them to build a strong foundation to optimize use of their IT procedures, use data effectively as they developed a new marketplace. Initially, the process of taking a customer from web visitor to direct support would take around 6 months. During that complicated process, a large quantity of information is acquired. Mr. Watarai investigated how various information acquired through that process may be useful to the marketing team. They considered constructing a customer management system to manage this information collectively. At the same time, he thought it was important that they choose a solution where it was easy to control access permissions when collaborating with external partners and that even non-engineers can build. Eventually, they found that kintone met all their requirements. He reflected on their decision, stating that "we estimated that it would take roughly 7 months for us to self-develop a system, and of course it was possible that our operational processes would change during that time. We chose kintone as an environment that could be implemented immediately." Following the actual construction process, kintone became the base of business, as the accuracy of data entered was increased by dividing browsing and analytical apps from data input apps, and incorporating essential business operations, such as managing construction contracts, into the system. In order for the planning department, which was very accustomed to using excel, to become familiar with kintone through a user-friendly interface, Mr. Watarai created a dashboard full of information so they could easily have numbers based discussions. In the end, kintone made it possible to expand the distribution of information regarding users with finishing contracts. The kintone alert function further enabled them to create and optimize a standard customer communication scheme. 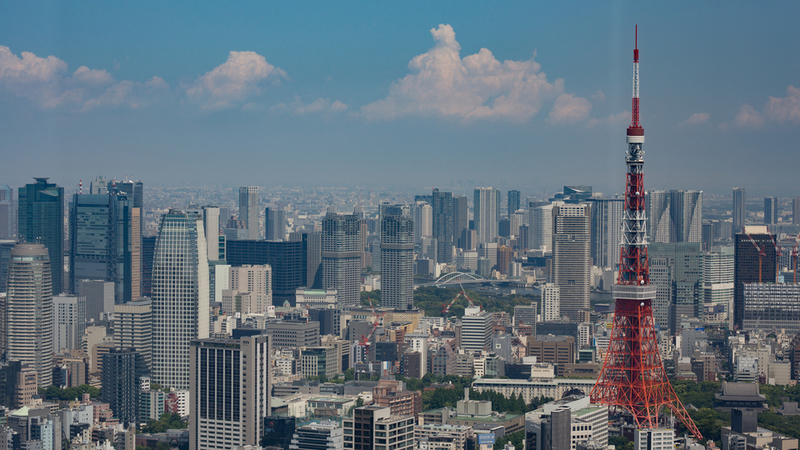 Now, Mr. Watarai says that “all employees can discuss the same numbers, and since less time is being spent on data entry, the focus can remain on the core business operations. 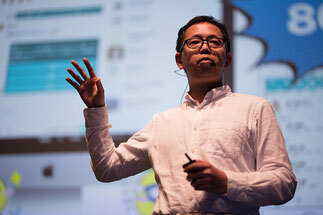 Customer data can now be used as a marketing tool, which is very significant for the company. Examples of plug-ins and customization - Secrets M-Solutions! 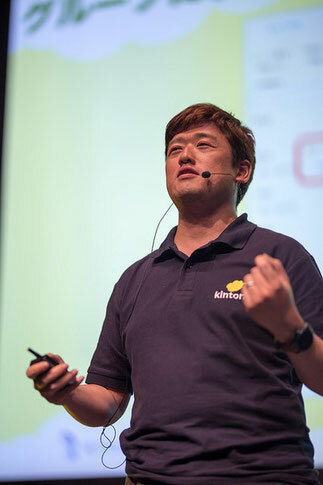 The first kintone hack champion, Mr. Uekusa from M-Solutions, which deals with the cloud service “Smart at”, as well as IoT app development, mobile and web app development, presented their latest kintone use-case. “Recently, there has been an increasing number of cases requiring collaborative ‘participatory system development’" he began, referencing a SI trend. Regarding customers with whom they had development capability concerns, in order to be able to develop, they would offer charity of minimum customization. 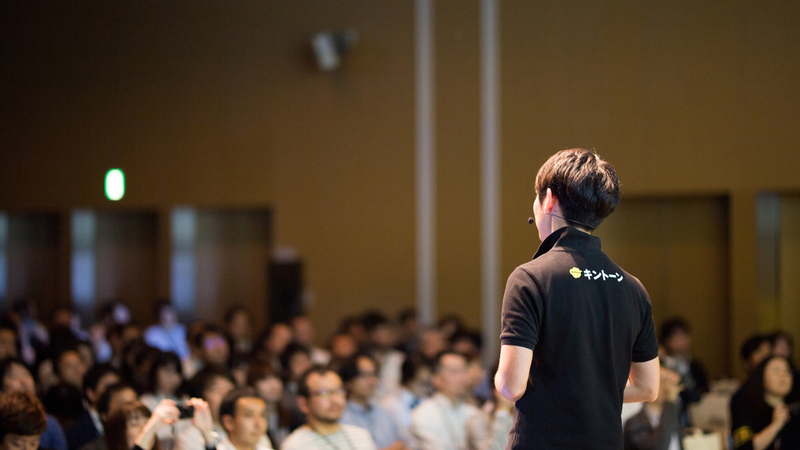 He introduced an example of proactive plugin utilization in joint SI development. When excel has come to be used for processes such as lead management and quote creation, they often implement kintone with a combination of form solutions. “Depending on form output and necessary report complexity, we may recommend different PDF output services,” he explained. Regarding how to utilize kintone as a system integrator, he described how their own company uses kintone for inquiry and sales management, and to manage their own services. Along with the concept of “develop what you can by yourself without using any complicated customization techniques” he also quickly introduced several plugins for menu conversion, automatic lookup acquisition and access log output. Within his 5 minutes, Mr. Uekusa displayed roughly 50 slides at a casual tempo. Finally, he announced that M-Solution's new “Search Function Expansion Plugin” which supports additional numerical and date fields would be made free for a limited period of time. 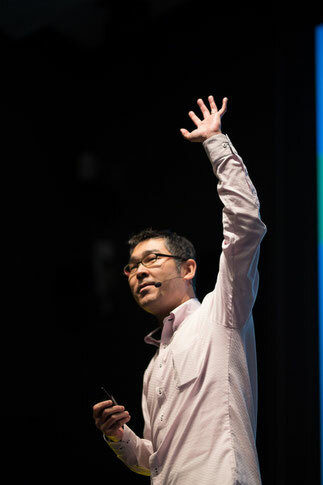 The next presentation was from Ryu Yamashita from JOYZO Inc., who features a new kintone interface (UI) solution for data input at each of his presentations. This time, he demonstrated how he can expand the interface into the physical space around him. He simply held his smartphone out and demonstrated how all kintone information can be displayed as tags floating freely in the air so that information from a kintone record is displayed in an augmented reality space. He suggested several possible uses for this technology. Sales teams visiting a customer can view customer information through the camera, or view pending issues for each store location. He also discussed how AR technology can be used as a new matching interface for services like UBER which displays information about nearby available taxis. As a demonstration, demonstrated what happens when you input a request to kintone. That request information is automatically set as a kintone record along with your GPS determined location. Other people who are searching for work can then use their smartphone to view your request and location. Unfortunately due to network connectivity issues, the demonstration could not proceed smoothly, but he was able to put up a request stating “someone fix it, my demo is failing!” The hall was impressed by his quick thinking. Also from JOYZO Inc. Mr. Yasutaka Shinomiya, also known as Mr. kintone, introduced a workstyle reform solution through chatbot integration. Aside from easy system development, he listed these 3 main functions of kintone: databases, workflows and communication. By connecting a flow form communication function using the business messaging tool 'direct' to the stock type data accumulation functionality, you can reshape the way that kintone works for your company. "Through direct's bot function, you can implement a completely new interface for data entry." Specifically, he mentioned bots dedicated to photo and daily reporting, as well as GPS location tracking. He demonstrated how during a simple conversation with a bot, essential information was input automatically into kintone. Within JOYZO, they use a bot that is also capable of answering questions to process work reports. Through bots like this, even employees with relatively low IT literacy can easily input data into kintone. 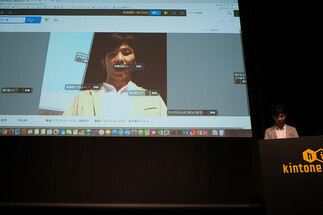 Finally, as Mr. Shinomiya has made customary, he concluded the presentation with an announcement for a new plugin from JOYZO for Table View Editing. Because it can be time consuming to simply record a large quantity of books, using a USB barcode scanner to read ISBN codes can make recording information a faster process that requires only the click of a button. There are numerous other applications for using a barcode scanner along with kintone. For example, he suggested this technology can be used to scan attendee badges at events, employee ID cards for clocking in and out of the office, or for taking inventory. 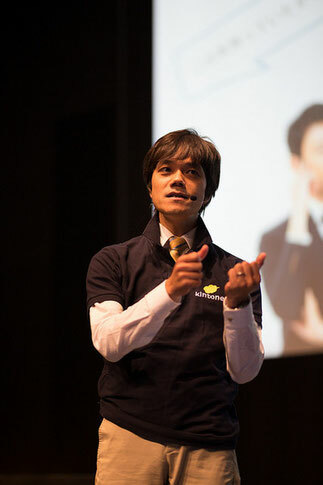 Mr. Saito from Radical Bridge, also known by the nickname "Uncle Cloud", is a kintone evangelist and the founder of kintone Café. 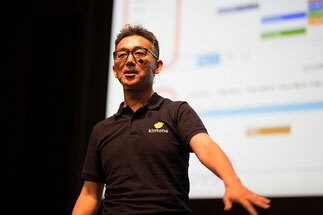 As one of his multiple business, Mr. Saito also manages Tetoco, which is used as a customer management application designed for personal classroom management with kintone as a base. He emphasized several attractive qualities of kintone such as the "convenient, fast and reasonable structure that everyone appreciates. And as a blackbox you can reclaim control over system development." 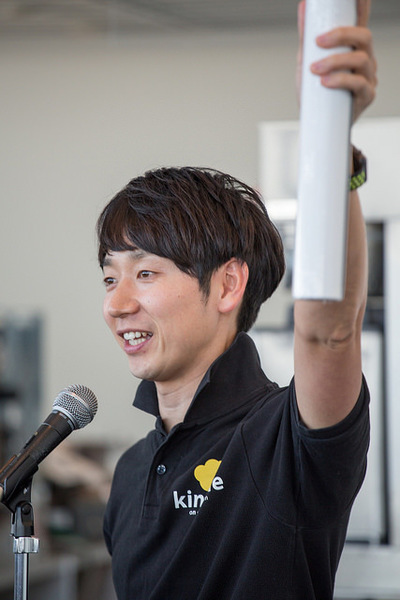 He felt so passionately about this that he started kintone Cafe, which now boasts branches all over Japan that all together have held more than 146 kintone Cafe events. He noticed significant demand for a Google Calendar-esque feature. In response, he developed the Calendar Plus Plugin. It only takes 8 seconds, opposed to the standard 22 seconds per kintone page, to register data. There was also a steep decrease in the number of steps required. Also, regarding requests for a Google Calendar Integration, due to kintone’s new REST API support service, Webhook, users can now easily establish a system where appropriate kintone records are automatically registered in Google Calendar. 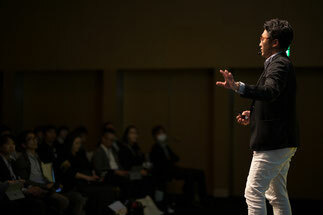 Finally, a special limited edition offer for participants was introduced, and he hoped that the audience would have "a wonderful kintone life!" The final presentation was by Mr. Konparu from R3 Institute, who was previously named the kintone hack Champion in 2016. 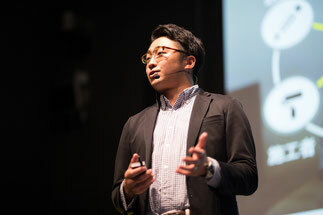 This presentation was not focused on plugins or customization, but rather he discussed their recent collaboration with Ritsumeikan University where they tackled innovative education through kintone. Students focusing on the social sciences and management can gain firsthand experience to understand how both general business administration and the system work. Mr. Konparu also explained how it was enlightening to see how non-STEM students worked with the system. In practical skills classes, students were given a workflow and asked to develop a corresponding kintone application. 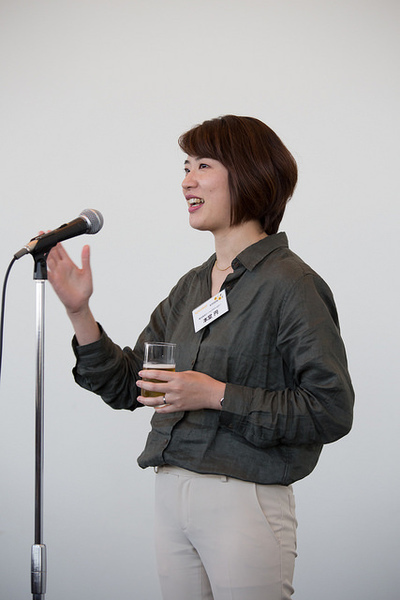 Following the event, Ms. Hondo from Xebec Technologies began the reception with a toast. 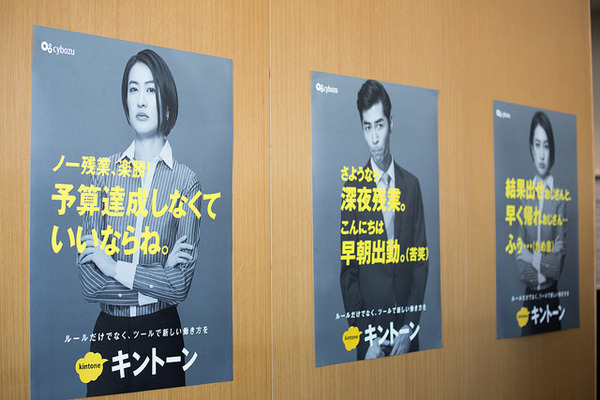 Posters of our recent advertising campaign seen in Tokyo subway stations that showed working people with easily relatable phrases such as "No overtime! No need to beat the budget!" were distributed for attendees to display in their own workplaces. These posters strongly appealed to those who couldn't directly express their interest in kintone. 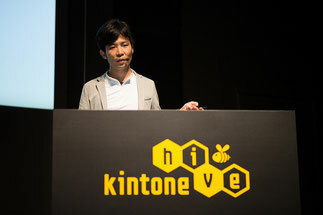 Later, as a closing statement, supporting the event from Osaka, Mr. Norio Kuroki of at-creation and Ms. Kana Taketomi from 2016 kintone Award Finalist Kobe Digital Labs congratulated Cybozu on the success of kintone hive Osaka. Up until the end of the reception, there was certainly an exciting energy in the venue. 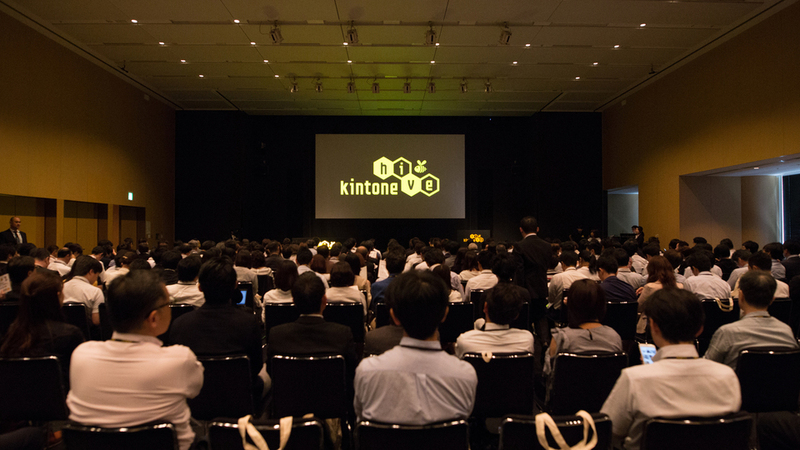 Thank you to everyone who attended kintone hive Tokyo! Good post. I learn something tougher on distinct blogs every day. Most commonly it really is stimulating to learn to read content material from other writers and exercise a specific thing there. I like Toshiyuki Konparu in the final presentation.. So so so collection of events.